Came across this great recipe from MiMi Bakery House and immediately got my hands on baking it. My dough did not rise alot but I am satisfied with my final bakes. The texture was soft and the sweetness from the condensed milk made the bread really yummy. Will definitely bake this again. 2. 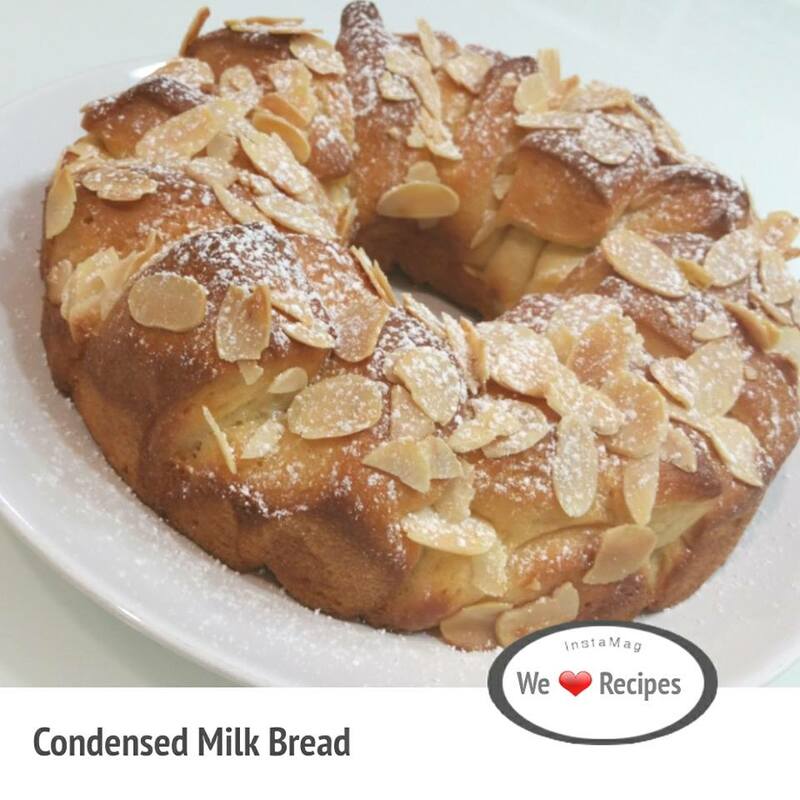 Meantime, place the ingredients for condensed milk fillings into another bowl and allow the butter to soften. Mix the condensed milk +soften butter to get a smooth paste. 3.Once proofing is ready, roll the dough into a rectangular shape. Spread the condensed milk filling onto it, and cut the dough into 4 equal strips. Stack the dough strips onto one another and cut them into 8 equal parts. 4. Place them into an 8-inch chiffon pan and allow them to proof for the 2nd time, about 30-40 minutes. 5. Sprinkle some almond flakes on the ready dough and bake them in a preheated oven of 150 Deg C for about 20-25 minutes. 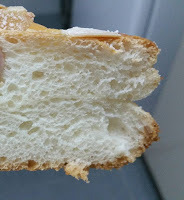 Remove the bread from the bread pan and dust them generously with icing sugar.